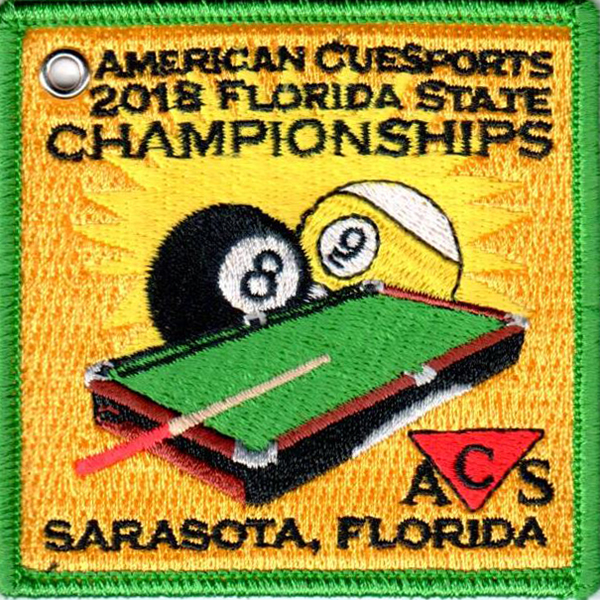 This year we will be selling a limited edition patch for the 2018 ACS Florida State Championships. 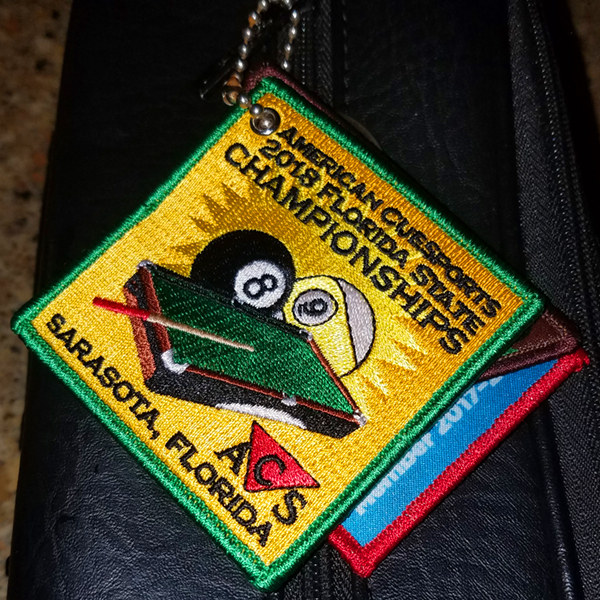 The patch is designed by one of our ACS sanctioned members and dated for the 2018 championships. It measures 3 inches by 3 inches. There is a grommet hole on the patch that can be used to hang the patch from your pool case. The patch will be sold at the event for $5. All proceeds will be used to help pay tournament expenses. We have a limited number of patches available. So, you’ll want to get one as soon as they are available at the tournament. 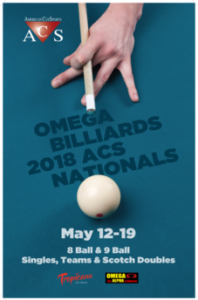 Click the image below to learn more about the 2018 ACS National Championships. 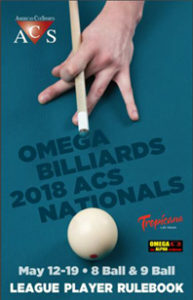 Sunshine State ACS is proud to use CompuSport to manage our ACS Florida State Championships. Players and teams can get tournament board information by clicking the image below. 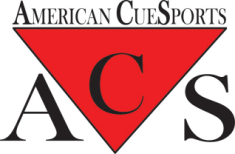 We are proud to be a State Association for American CueSports (ACS). We have a variety of league resources available on our resource page. Check them out by going to our league resources page.